I began my investment career in 1974. In 1976 I left a large retail brokerage firm to join a premier investment bank. I had both retail and institutional clients. So I had a well-rounded knowledge of Wall Street. The 1970s was soon after the dark ages of investing. Modern portfolio theory existed in the academic but not yet the real world. Looking at how investing has progressed since then, I thought it would be interesting to trace its evolution both in theory and in practice. Perhaps we can learn something from the past. Modern portfolio theory began with Markowitz’s work in the 1950s. He called this approach mean-variance optimization (MVO). Markowitz used quadratic programming to construct efficient portfolios with past returns and covariances as inputs. Efficient portfolios have the least amount of variance at a specified level of expected return or the highest expected return at a specified level of volatility. The problem with Markowitz’s approach is it did not work well in practice. This is because model inputs, especially past returns, are not stable going forward. Errors are multiplicative and become large due to the quadratic nature of the MVO model. At first, no one knew this problem existed because implementing MVO was impractical then. Matrix inversions with thousands or even just hundreds of stocks challenged computing capabilities at that time. In the 1960s researchers simplified Markowitz’s approach by developing the Capital Asset Pricing Model (CAPM). 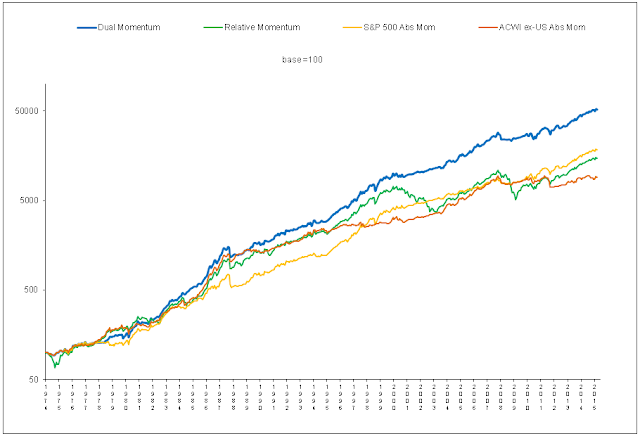 This was an elegant solution to the portfolio allocation problem using a linear model. Researchers found they could regress assets against the S&P 500 to create “beta.” You could determine your risk exposure by looking at the beta of your portfolio. Beta became king in academic finance and with institutional investors. It was used for portfolio construction and capital budgeting. It’s corollary, “alpha”, was used for institutional performance evaluation. All assets and portfolios was characterized solely by their performance relative to the S&P 500 index. Institutions owned less than 10% of U.S. equities back then. Retail brokerage offices were ubiquitous. Brokers pitched stories about companies to clients who paid high fixed brokerage commissions. When recommended stocks went up, clients were encouraged to lock in profits. When stocks went down or were unchanged, clients were urged to sell and buy more promising ones. Most brokerage accounts were under diversified and over traded. Brokers recommended glamour stocks to aggressive investors. They touted bonds or defensive stocks, like utilities, to conservative investors. Blue chips were core holdings for most investors. Even though fixed commissions ended in 1975, most brokerage firms kept their commission costs high. They figured investors would pay them to get recommendations and to keep their accounts at big-name brokerage firms. Discount brokerage firms were largely unknown. The first public index fund was started by Vanguard in 1976 with $11.3 million. Many called it “Bogle’s Folly.” Malkiel (1995) and Fama and French (2009) showed that active funds underperform the market by the amount of their fees. But most investors were unwilling to settle for being average. By competing against each other using the same information, investor returns were not average. After costs and fees, they were below average. Some academics began to question the supremacy of single-factor beta. Barr Rosenberg, a Cal finance professor, setup BARRA as a consulting firm to institional investors. BARRA looked at 20+ additional items when doing linear modeling. Their "extra-market covariances" were the precurser of today's factor-based investing. Institutional participation in stocks was still low then. The public continued to rely on brokerage firms and their recommendations. In the 1980s more academic ideas began to filter into the marketplace. Sophisticated investors recognized the need for a portfolio of at least 30 well-diversified stocks to reduce idiosyncratic risk. Mutual funds that performed well garnered attention. Peter Lynch’s no-load Magellan Fund attracted a large following. Many other funds had front-end loads to compensate selling brokers. Investments were promoted and sold to existing clients back then more than they were bought by informed investors. Research departments began to pay attention to international diversification after academics showed that it reduced portfolio variability. Beta was used more frequently as a measure of market exposure. In the 1990s there was more recognition of modern portfolio theory. This meant more interest in the efficient market hypothesis and index funds. CAPM expanded to include size and value as additional factors. This was soon followed by momentum. Discount brokers became accepted, no-load funds gained market share, and institutional ownership of equities expanded. But with average equity returns of 17% per year in the 1980s and 1990s, most investors were reluctant to change how they actually invested. It was still a stock pickers world, but methodical asset allocation began to get more attention from institutional investors. We began to see more "closet index" funds. These closely tracked passive indices but charged active management fees that adversly affected performance. These number of closet index funds has continued to grow since then. Investor attitudes changed dramatically in the 2000s due to the severe 1999-2000 and 2008-2009 bear markets. Many investors abandoned equities. Some never returned. There was more focus now on risk exposure. Alternative investments, such as commodities and hedge funds, attracted both institutional and individual investor interest. Advisors stressed greater diversification, often in the form of Global Asset Allocation (GAA). Meb Faber’s popular IVY 5 portfolio was an example of that. Pricing models expanded to include additional factors to better explain asset returns. Indexing has continued to attract followers. But it still resides in the shadow of active management. According to Morningstar, only 19% of the U.S. stock market is owned by index funds. Thirty percent of mutual funds, 15% of institution investing, and 5% of global investing use low-cost indexing. It is surprising there has not been more interest in indexing given that 83% of mutual funds underperformed the market over the prior 10 years. The latest “improvement” on index funds is factor investing. Factors (and related smart beta) are based on quantitative analysis of past data. Investors are receptive to factor investing because they think it may offer them better returns than an index fund at a lower cost than traditional active management. Investors often also think complicated approaches are better than simpler ones. The opposite is actually true. Simpler approaches are less likely to suffer from data snooping, selection bias, and overfitting issues. Complicated approaches are not as viable as simpler methods, but investors are willing to pay up for them. As with commodities and hedge funds in the 2000s, the performance of factor-based investing has been disappointing since they became popular. The size factor failed to provide an advantage ever since it was introduced in 1982. Back in 2006, Loughran and Hough presented evidence that cast doubt on the efficacy of value fund investing. Yet many ignore or dismiss real-world factor performance. They still reference theoretical results. Which factors matter has been changing over time and may continue to change. See here for more on the issues associated with factor investing. What can we expect to see in the future? Indexing should continue to grow modestly. Early this year John Bogle said index funds took in $3.3 trillion in net cash flow over the past 10 years. Active funds took in just $150 billion, or only 5% of total industry cash flow. Institutional investors and fund sponsors are subject to the same prejudices as everyone else, and maybe even more so. They have been exposed to factor research since 1992 or earlier. At least 16 multi-factor funds were set up duriing the past two years. All of them included the value factor, and one-quarter included the size factor. Entrenched investment prejudices are hard to overcome. Many still think small stocks outperform larger ones on a risk-adjusted basis. Most of us are used to looking for bargains. We think value investing represents a bargain. But we may not be factoring in the risks associated with value. Continued growth in factor-based investing is expected from both retail and institutional investors. See here and here. Trend has now been getting attention from academics. See here for more on this. Below is Meb Faber’s IVY 5 GAA (Buy and Hold) portfolio with the addition of a trend filter to create a Global Tactical Asset Allocation (GTAA) portfolio. Tactical approaches were looked upon as “voodoo” for many years by academics and academically trained investment professionals. Institutional investor prejudice in the opposite direction may make it difficult though for trend to become widely accepted. This is reinforced by the fact that institutional investors continue to have a dominant influence on investing. Individuals now hold only $4 trillion of the $27 trillion invested in U.S. stocks. This is good news for those of us who use trend as a component of our investment models. Reluctance to accept trend should lessen the chance of crowding out future returns. Markets are highly competitive, so it hard to find an edge. There are worse things you can do than buy a passive index fund. Warren Buffett instructed his heirs to put 90% of their inheritance in an S&P 500 index fund and 10% in short-term U.S. debt instruments. Vanguard estimates that paying 110 bps (the average active management fee) over 30 years would erode a portfolio’s market value by 25%. All investors should pay close attention to their investmment costs. That is the simplest and easiest way to create alpha. When you invest in multiple assets, your expected return is the weighted average of those asset returns. But portfolio volatility is reduced if those assets are less than perfectly correlated to one another. Diversification can also help mitigate the uncertainty of assets continuing to perform in the future as they have in the past. The downside of traditional diversification is that assets having a lower expected return create a drag on portfolio performance. Closely associated with trend is the idea of temporal diversification where you invest in the strongest assets over time. 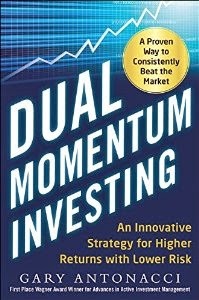 This is also the same as relative strength momentum investing. Weaker assets do not create a drag on portfolio performance because you do not invest in them until their performance improves. Using temporal diversification, portfolios can have a higher return than the weighted average return of its individual assets. As we have seen, investment ideas evolve over time. CAPM was once regarded as sacrosanct. Fisher Black (who would have received the Nobel Prize had he lived a few more years) said of CAPM, “The theory is right. It just doesn’t work.” The same is true of MVO. Portfolio insurance was another concept born in academia that failed miserablty in practice. Investors should not be too surprised if today's popular investment approaches do not live up to their expectations.